Enjoy the best inspirational, motivational, positive, funny and famous quotes by Ann B. Ross. Use words and picture quotations to push forward and inspire you keep going in life! 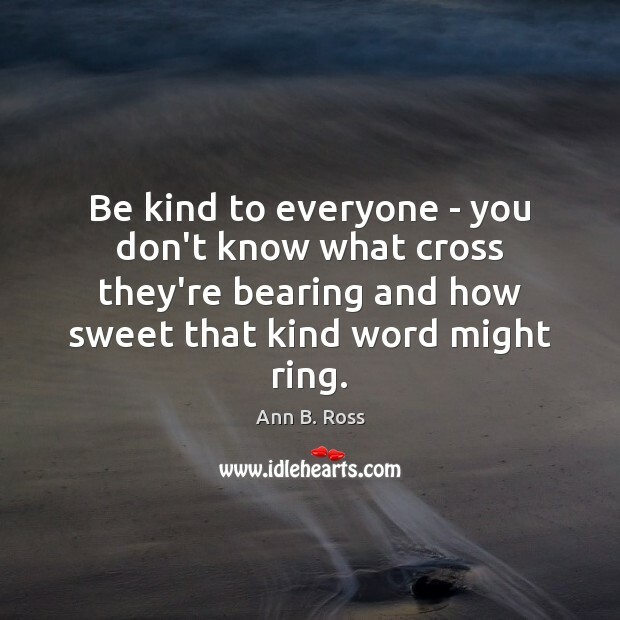 Be kind to everyone - you don't know what cross they're bearing and how sweet that kind word might ring. 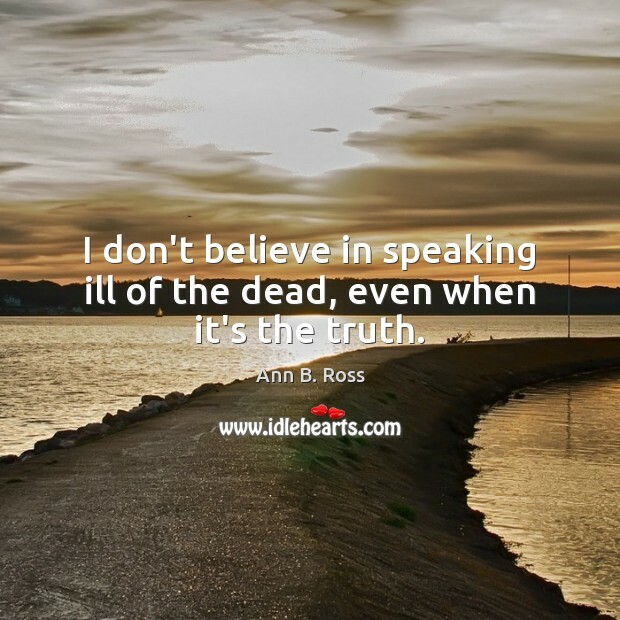 I don't believe in speaking ill of the dead, even when it's the truth. 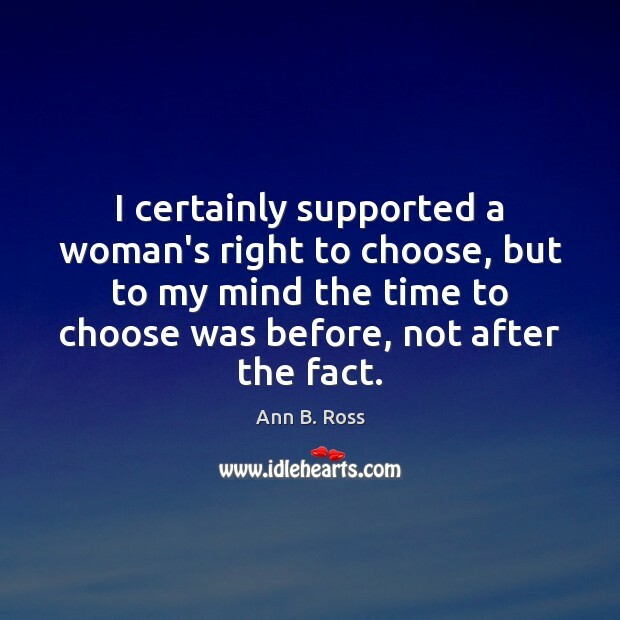 I certainly supported a woman's right to choose, but to my mind the time to choose was before, not after the fact.